Today, (smart) mobile phones are the best virtual windows to the real world. With banking, shopping, video calling, file sharing, Internet browsing, social networking, news alerts, etc. at the tip of our fingers, mobile phones are no less powerful and interesting than a magic wand. What makes these devises a lot more useful in our daily lives is a constant effort that few scientists and researchers make collaboratively or individually to ensure a healthier life for the global populace. No wonder if mobile devices can be used as a tool for medical diagnosis in bedroom. Rajalakshmi Nandakumar, an Indian researcher in the United States, has made it possible for those suffering from sleep apnea, a serious sleep disorder entailing irregular breathing patterns. We at Travel Beats, an Indian Diaspora portal by Indian Eagle Travel, took on how Rajalakshmi’s mobile device-friendly invention could help diagnose sleep apnea and several life risk factors associated with it for millions of people the world over. A PhD alumnus of the University of Washington, Rajalakshmi Nandakumar has built a low-cost app to help diagnose sleep apnea accurately using the microphones of regular mobile phones. How to harness the powers of sonar sensors, which use the transmission of sound to detect far-off objects, was the subject matter of her research papers. She used active sonar sensors in her non-intrusive device named ApneaApp. Sleep Apnea is a serious sleep disorder which results from shallow breathing or interruption of normal breathing during sleep. Unnatural pauses in breathing follow loud snoring. Breathing interruption can last for a few seconds to a few minutes. Those suffering from this sleep disorder feel fatigued at daytime. Obesity, poor memory, temporary memory lapse, allergies, sinus, coronary artery disease, etc. are some of the health risk factors associated with sleep apnea. USA-based Rajalakshmi Nandakumar’s ApneaApp comes handy as a non-intrusive, low-cost, and easy-to-use device to let people know in advance if they are likely to suffer from sleep apnea under certain physical conditions. It is of great help to alert people and make them take precautions before the disorder becomes severe and leads to oxygen deprivation or any other complication. ApneaApp transmits inaudible sound signals from a mobile phone’s speaker to a user. The signals bounce off the user’s body and capture some data from the body’s myriad algorithms. Thus the user’s breathing pattern and whether it’s regular or irregular is detected by the device. Previous methods of detecting sleep apnea or other sleep disorders include polysomnography, an extensive lab study of one’s sleep patterns. Rajalakshmi’s app has been found more efficient and accurate than polysomnography. She claims that ApneaApp gives 98% accurate results which no other method or device gives. It is the least expensive compared to other methods. The app has been licensed to benefit millions of people worldwide. Whether it can detect opioid overdoses is being tested. 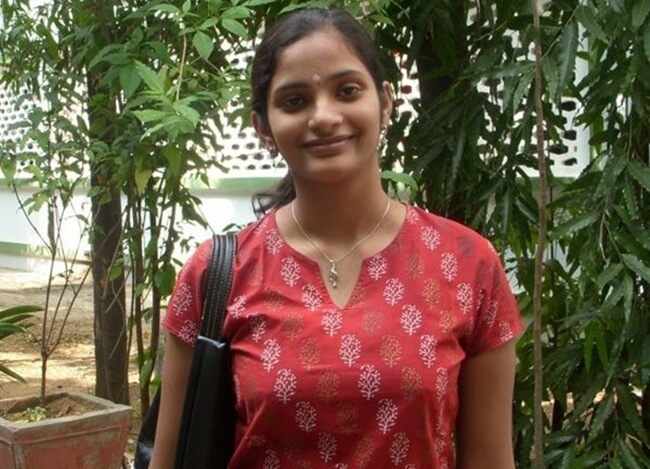 Rajalakshmi Nandakumar pursued B-Tech from the Guindy College of Engineering in Chennai, and then she joined Microsoft India’s Research Center in Bengaluru as a research assistant. She moved to the US for higher studies. On completion of her PhD studies, she worked at the Networks and Mobile Systems Laboratory at the Paul G Allen School of Computer Science at Washington University. She was one of the four recipients of the 2018 Marconi Society Paul Baran Young Scholar Award for her extensive, extraordinary work in disruptive healthcare applications. She was also given a monetary prize worth $5000. This story is part of our continued effort at Indian Eagle, a leading air travel booking partner for Indians in USA, to promote good work and achievements of Indians across geographies. Subscribe to our free newsletters for latest news and inspiring stories of Indians in America.